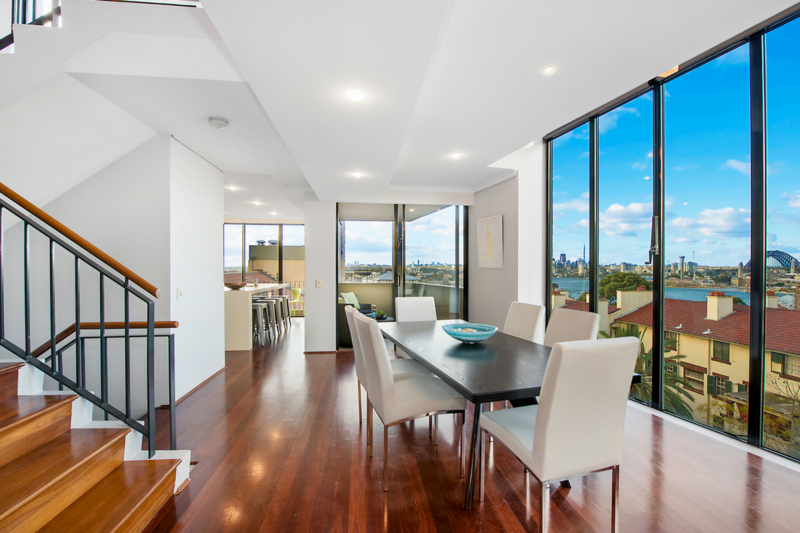 Choosing to furnish your investment property is a wise long-term investment. 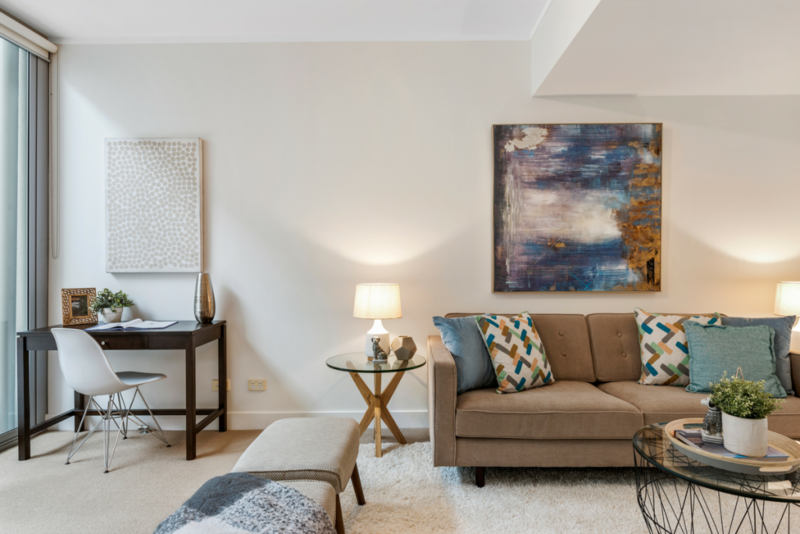 Offering a ready-made solution to potential tenants, furnished properties are extremely attractive for renters looking for style and convenience. Best of all, you’ll attract higher quality tenants and will even be able to set higher rental prices to maximise your investment’s return. Purchasing timeless, good quality pieces will ensure your property has the durability to last through multiple tenancies. The trick is to think about your property as a blank canvas and keep your styling choices simple and sophisticated. By opting for a neutral palette and adding colour through accessories, your property will appeal to the broadest section of the market possible. We explain the best ways to furnish your investment property to create fresh and inviting spaces that are cohesive and harmonious in design. Before beginning your styling efforts, make sure to consider the unique features of your property. Every home is different, so take time to think about the types of tenants your space is likely to attract. Look closely at the layout and size of each room, and take accurate measurements of each area. Thoroughly plan out the placement of key furniture items on paper to maximise the flow between spaces. Be sure to leave adequate room for clear walkways and seamless transitions between spaces. Consider the needs of your target market, and strategize ways of best meeting these through your décor choices. For example, if your property is likely to attract young professionals, study nooks and stylish bar carts are thoughtful touches that will resonate with these potential tenants. 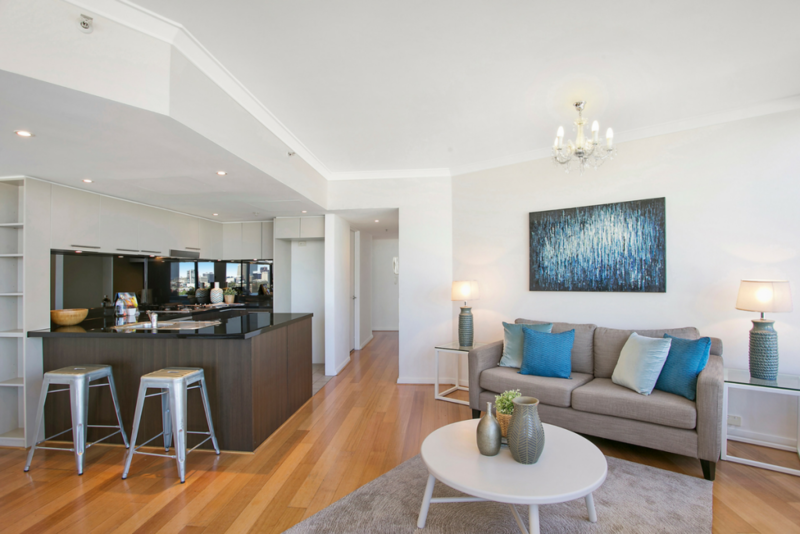 When styling an investment property, its best practice to avoid bold finishes. 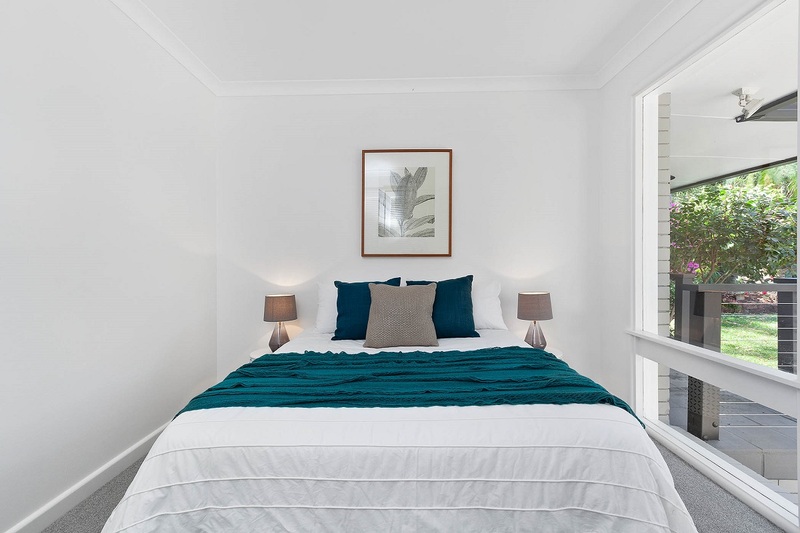 Use a neutral colour palette to appeal to the broader section of potential tenants, and be sure to give every room a fresh coat of paint before furnishing the property. When selecting wall shades, neutral colours such as cream, taupe and off-white are guaranteed to make rooms feel bigger and brighter. The illusion of larger spaces will create a welcoming atmosphere for potential tenants, and increase the perceived value of the investment property. Think about including subtle pops of colours with decorative accents such as vases, cushions and throws. These items can be easily changed and replaced seasonally to stay current with new interiors trends. The importance of durable furniture cannot be overlooked when furnishing your investment property. Although it may present a daunting initial cost, investing in high-quality pieces will serve you well across tenancies to come. Selecting cheaper furniture will require more maintenance and faster replacement purchases, meaning extra hassle for you as the owner. Plus, visible wear and tear detracts from the value of your property and may lead your tenants to move on sooner than expected. Hardware flooring is another must to increase the durability and longevity of your investment property. There is a huge range of options to consider, including tiles, mid-tone grey carpets that will be forgiving on spills as well as cost-effective floating floorboards. We recommend selecting light oak or grey wash shades to enhance the feeling of space in every room. 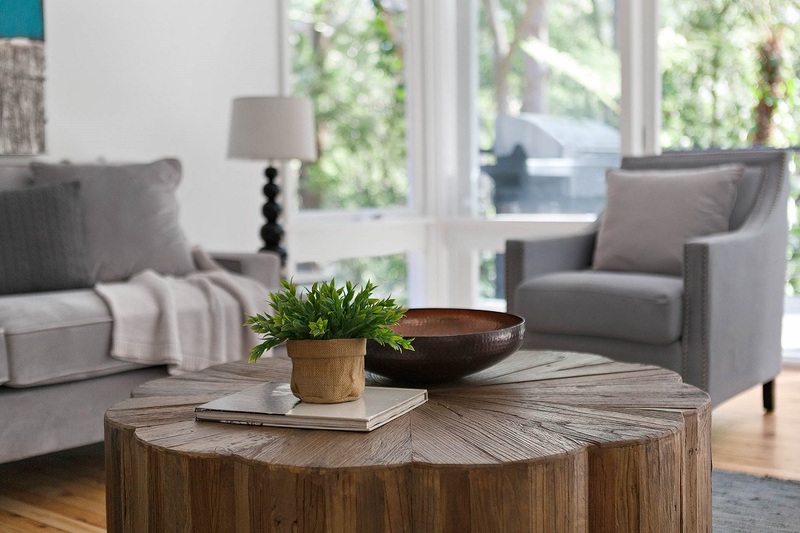 Make the most of every part of your property by opting for functional furniture. Storage options are a huge drawcard for renters, and offering savvy solutions will help your investment property stand out on the market. In smaller spaces such as apartments and terrace houses, source items that serve multiple functions. Key pieces include lounges with fold-out sofa beds that allows tenants to accommodate guests at a moment’s notice. Look out for dead spaces such as large hallways and space under staircases, and reimagine the potential of these areas. Be sure to install built-in wardrobes in all bedrooms to maximise the floor space in every part of your property. Styling is most effective when spaces appear carefully designed and well presented. Keeping to a refined colour palette and décor style will help your property feel modern, stylish and desirable to potential tenants. 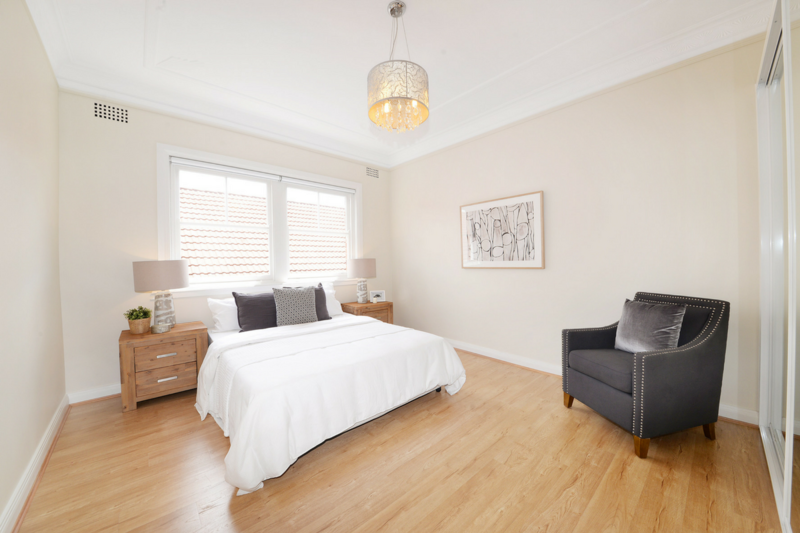 Simplicity is key when it comes to investment properties. Overcrowding your space with unnecessary clutter and accessories can be off-putting, so adopt the ‘less is more’ approach. Leave plenty of wall and surface space for your tenants to inject their own styling touches and personality. Using similar materials and decorative elements such as frames and mirrors across multiple rooms will make for a curated and consistent aesthetic.